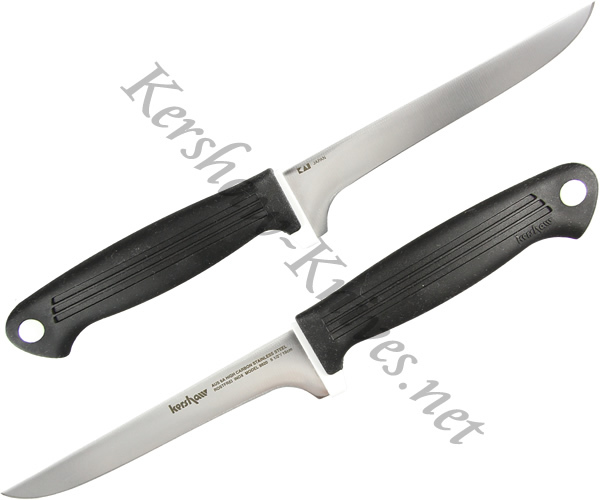 This Kershaw Shun Boning Knife model 9920 has an impressively thick AUS6A high carbon stainless blade for premium blade retention and cutting ability. The polypropylene/elastomer handle provides a solid, all-conditions gripping surface that cuts down on hand fatigue. The 9920 Shun Boning knife is dishwasher safe for easy clean up.